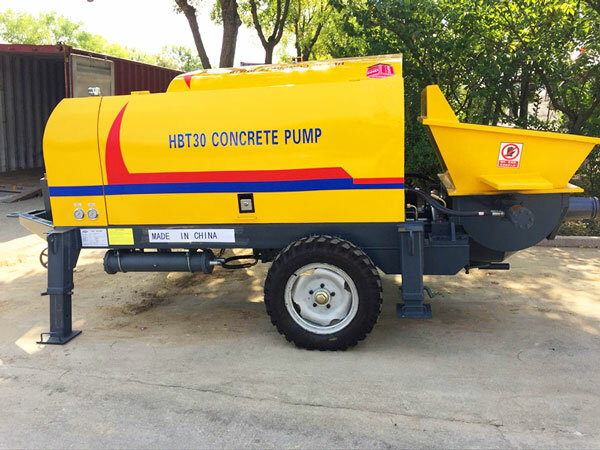 Concrete trailer pump for sale refers to the concrete pump mounted to a trailer, and the concrete pump will be towed by the trailer to the construction site. The working principle of trailer pump for sale and concrete pump is similar. Concrete pump trailer is often used in buildings construction site, highway, railway and bridge construction sites. Due to brand parts and advanced technologies, concrete trailer pumps for sale manufactured by Aimix Group has wonderful performance. 1. 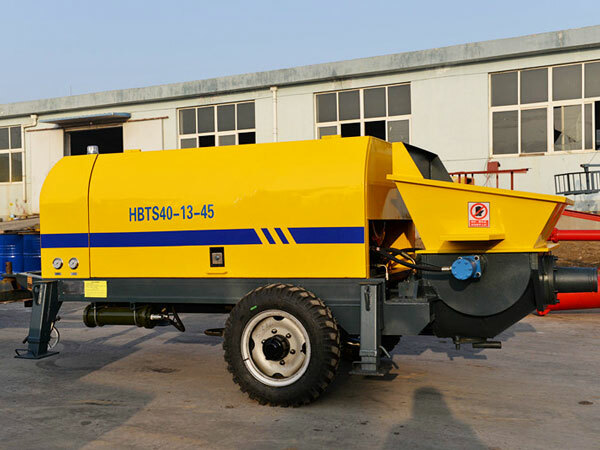 Trailer mounted concrete pump for sale can achieve horizontal concrete delivering, vertical concrete delivering, and concrete watering. 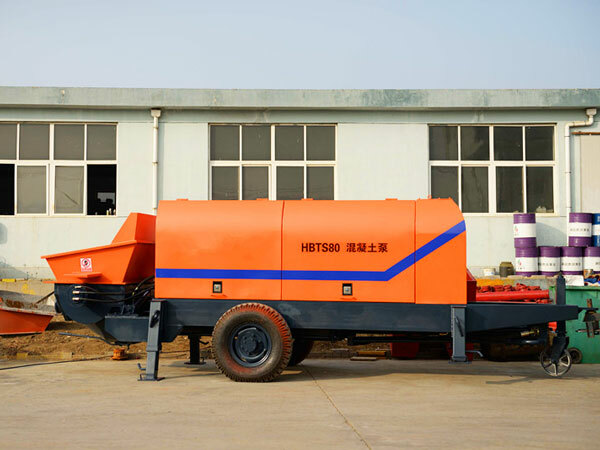 In addition, trailer pumps for sale have high degree of machinery automation, the mechanical automation greatly reduces the labour, and this will save a lot of labor costs. Construction organization is also very simple, and it brings more safe and convenient operation. 2. 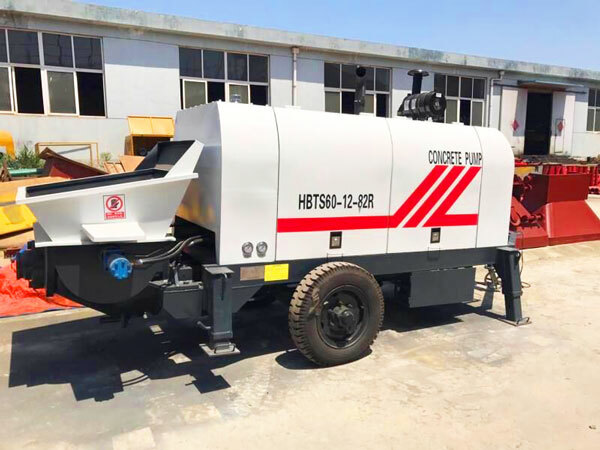 Concrete watering usually needs to be carried out continuously, when trailer mounted concrete pump is working, it is required to have a high efficiency and fast work progress, trailer concrete pump meets the demands, it delivers concrete efficiently and quickly. 3. In the process of delivering concrete by concrete pump trailer for sale, there are very strict requirements on concrete, so this is also a test for concrete. To ensure the quality of concrete, trailer concrete pump for sale will work successfully and efficiently. 4. We manufacture tow behind concrete pump with international high-quality material. As long as you can follow the using’ rules and carefully maintain the equipment, there will be few problems even if you use the equipment for a long time. 5. Our trailer pumps for concrete not only have good quality but also have competitive prices, so we can provide the trailer pump with high quality and reasonable price for our customers. 6. Concrete line pump trailer for sale can be operated in various construction sites, which have wide range of operation, and the pipes of concrete pump can be set to variety places, what’s more, the distance and height of delivering concrete also can be adjusted. In general, concrete trailer pump for sale is very flexible, which have great convenience to transport concrete. 7. Cement pump trailer is the machine which is environmental protection, because concrete is delivered in the pumping pipes. Contaminants will not be exposed to the air, therefore the pump meets the requirements of low-pollution production. If you use the towable concrete pump incorrectly, which can cause problem that concrete is blocked in the pumping pipe, this problem is inevitable, but we do some effective measures to avoid the problem. 1. If we want to avoid the problem, we should primarily understand why the problem occurs, there are three reasons. First, the size of materials is unqualified, some large materials can not flow smoothly in the pumping pipes, which leads to bad performance of delivering concrete. Second, the pumping pipes have not been cleaned in time according to regulations after the last delivery. Third, inappropriate managements can also cause the problems, which include that the speed of delivering is too fast, the intermittent time is too long and the temperature effect is not fully considered. 2. 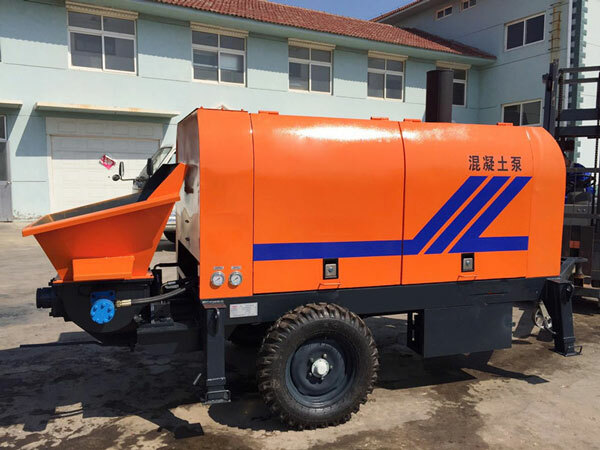 Maintenance of concrete trailer pump for sale needs to check pumping pipes regularly, if the pipes are damaged badly, or the pipes are too thin, they should be replaced in time. 3. When the concrete trailer pump delivers concrete, there should be professional staff to check the ready mix concrete pump, if staffs find abnormal circumstances, they should repair the equipment immediately. Aimix group is one of the best concrete trailer pump manufacturers in China with more than thirty years history. Now Aimix group has start subsidiary office and factory in Lahore, Pakistan. 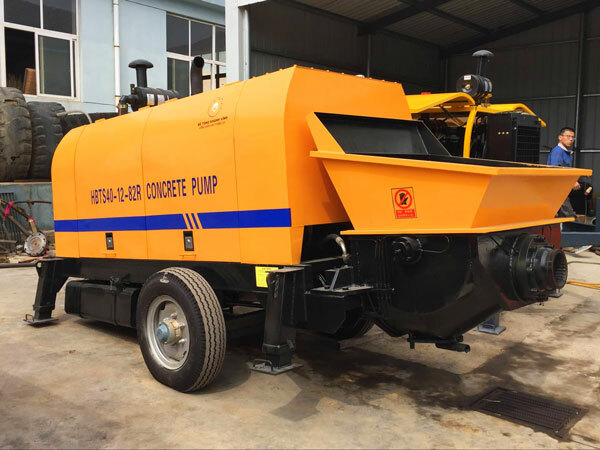 If you are interested in our concrete trailer pump for sale, or other construction products, please contact us as soon as possible! We can also customize small trailer concrete pump for you!